Daphne practices civil litigation and dispute resolution, with a focus on environmental, public utility, and regulatory law. She has assisted on applications before various regulators and has appeared before the Alberta Provincial Court and the Alberta Court of Queen’s Bench. Daphne's practice primarily involves administrative and regulatory proceedings, and associated litigation proceedings. In her regulatory practice, Daphne has experience navigating regulatory processes for various industries, assisting on issues pertaining to Indigenous consultation, environmental compliance, due diligence and occupational health and safety matters, particularly in the area of incident investigation and reporting. Daphne is also a contributor to the Project Law Blog, a resource that updates proponents on developments in the law and policy that applies to the development of major projects in Canada. During law school, Daphne participated in Pro Bono Students Canada and the Kwaskimhon Moot. She also held the following leadership positions: President of the Society of Law Students, Co-Chair of the Environmental Law Society and Editor-in-Chief of the Alberta Law Review. 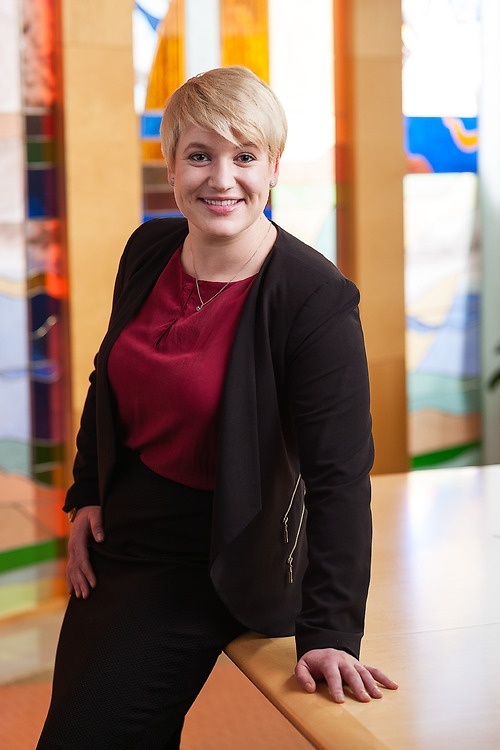 Prior to joining the firm as an articled student in 2015, Daphne was a summer student at the Alberta Utilities Commission, held a legal internship with the UNESCO Research Chair at the Technische Universität Dresden and worked as a summer student with an International law firm in Germany. Advising Canadian Natural Resources Limited on Aboriginal issues associated with oil sands, heavy oil and conventional oil and gas operations. Currently advising Canadian Natural on regulatory and Aboriginal matters associated with their application for approval of a tailings management plan for the Horizon Oil Sands Processing Plant and Mine. Successfully represented our client in obtaining summary judgement in the amount of $4.5 million against a party who had failed to make payments resulting in a series of forbearance agreements.